After covering Scott Masterson’s Bayliner 175 all-electric boat conversion last month, we have now learned of another interesting electric conversion. Electric vehicle enthusiast, Rich Rudman, transformed a 1984 4×4 Toyota extra-cab pickup truck into an EV with batteries from a Nissan Leaf. 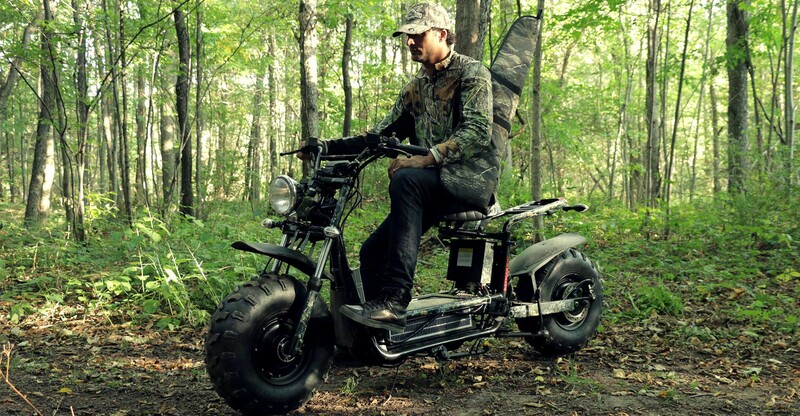 Daymak unveiled the ‘Beast D’, an updated version of its all-electric two-wheel ATV with now dual motors. The Beast D will complete Daymak’s lineup of two-wheel ATVs as its new top-of-the-line model. The 260 lbs bike, like the rest of Daymak’s lineup, still has a limited range of only ~18 miles, but the new dual motors increase the top speed to 31 mph and it can now climb hills of up to 36 degrees.